The United Nations has condemned the killing of three aid workers by Boko Haram terrorists in Rann town of Borno State, North-east Nigeria. The terrorists had attacked a camp of Internally Displaced Persons (IDPs) in the area on Thursday. The international body said three aid workers were also injured, and a female nurse is missing. Reacting to the killing in a statement on Friday, the UN Humanitarian Coordinator in Nigeria, Edward Kallon, urged the Federal Government to ensure the attackers are brought to book. “Aid workers put their lives on the line every single day to provide emergency assistance to vulnerable women, children, and men. Our deepest condolences go to the families of the victims and our brave colleagues and we call on authorities to ensure the perpetrators are brought to justice and account,” he said. 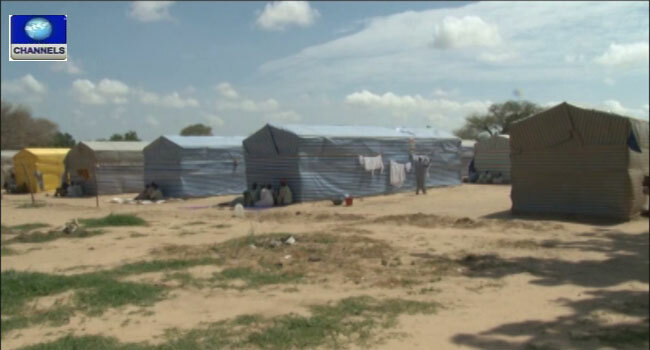 Two deceased aid workers were contractors with the International Organisation for Migration, working as coordinators in the camp for 55,000 IDPs who have fled their homes as a result of the insurgency. The other deceased aid worker was a medical doctor employed as a third-party consultant with UNICEF. The UN was also worried about other civilians who may have been injured or killed in the attack, noting that the crisis seemed not to be ending soon. “The humanitarian crisis in Nigeria’s North-east, that has spilled over into the Lake Chad region, is one of the most severe in the world today, with 7.7 million people in need of humanitarian assistance in 2018 in the worst-affected states of Borno, Adamawa and Yobe, and 6.1 million targeted for humanitarian assistance. “Now in its ninth year, the crisis shows no sign of abating. Close to 80,000 people, including 55,000 internally displaced persons, currently reside in Rann and are supported with humanitarian assistance,” the statement added. The UN, however, said it was working with some non-governmental humanitarian organisations across the North East to provide aid, including food, safe water, and medicine to about 6.1 million displaced persons in the region. According to the organisation, some 3,000 aid workers are present in the North East, the majority of whom are Nigerian nationals.